Calling all Super Heroes and the want to be a Super Hero’s among us. The 2018 Triathlon battle will be fierce so lets see if any of this years Super Hero’s has the power to rise above the penalty box. Who will it be to reveal their powers across the finish line? Port Stephens offers athletes a brilliant weekend destination and the last chance in the season to grab some triSeries points. Get ready for some great racing action with the Standard, Sprint, Enforcer and Enticer distances. There is also the advantage of a completely closed bike course. With a great range of racing action with Standard, Sprint, Enforcer, Enticer and Try-A-Tri events. The Triathlon event starts off at the beautiful One Mile Beach with the start of the race being the swim. Next the competitors jump on their bikes to tackle the flat Gan Gan Rd. The run leg stays within One Mile with the distances all category which best suits. 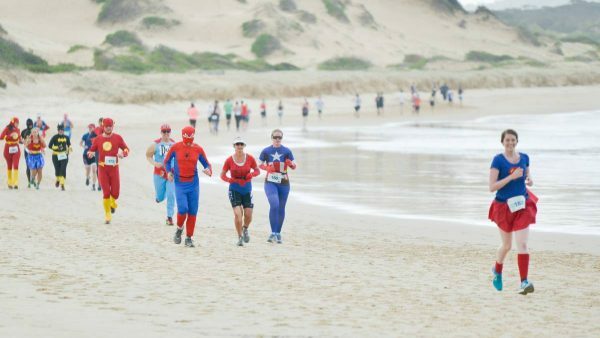 Enter now in the Port Stephens Enticer event and select the “Superheroes” category…. and may the force be with you! The Port Stephens and entire Triseries presentation (and after party) will be taking place at the Nelson Bay Soldiers Club on Saturday night. The Retreat Port Stephens is within close proximity for the Triathlon Festival with only a couple of minutes drive to the start point. Enjoy the quiet and relaxed atmosphere before and after the race with plenty of time to enjoy the local area.